Milk thistle is a plant native to the Mediterranean region of Europe, the Middle East and North Africa. The name comes from the appearance of the leaves, which are splashed with lines and bands. Milk thistle benefits are abundant in number and variety, having been used for centuries to remedy a plethora of ailments. Milk thistle and liver health has long been popular in Europe. Milk thistle protects against the damage done to the liver by alcohol, pollutants and toxins. Milk thistle continues to be a great supplement today for those with liver damage and as a preventative measure for liver disease and cirrhosis of the liver. Clinical trials have shown that a milk thistle supplement has benefited those with liver damage due to toxins and pollution. This was done in a double blind study involving workers exposed to toluene and/or xylene for 5-20 years. Over the course of 30 days, those given the milk thistle supplement showed a great improvement in liver function, as opposed to those given the placebo. The chemical thought to be responsible is called Silymarin. Silymarin is also found in other plants that are known as “hangover cures” because they help rid the body of toxins accumulated from drinking. However, results in tests are mixed when it comes to alcohol. This is mostly due to problems with the studies. Not enough patients were tested and differences in dosages made the results unreliable. Although, it did prove to be promising to those who did take the milk thistle supplement, suggesting that it may be a good cure and preventative measure for liver damage caused by alcohol or even drugs such as acetaminophen. People with hepatitis C, a degenerative liver disease, were once believed to benefit from milk thistle and the Silymarin found in the milk thistle. However, recent studies show that milk thistle does not have a significant effect on the liver of those with hepatitis C. Those given Silyman through milk thistle did not show anymore improvement than those who were given a placebo. Milk thistle can also be beneficial to kidney health, which are subject to toxins similarly to the liver. Some scientists believe that milk thistle should be used to counteract drugs that are harmful to kidney health. 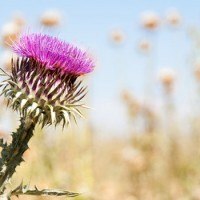 Milk thistle may also prevent cancer in the kidneys. This is due to regenerative effects on kidney cells. Milk thistle has been shown to help prevent stress put on the kidneys and protect the kidneys from free radicals. However, significant human tests have not been conducted and so milk thistle should not be used instead of a conventional method for kidney problems, especially cancer of the kidneys. It is a good idea however to use milk thistle as a preventative measure and ensure good kidney health before a problem occurs. 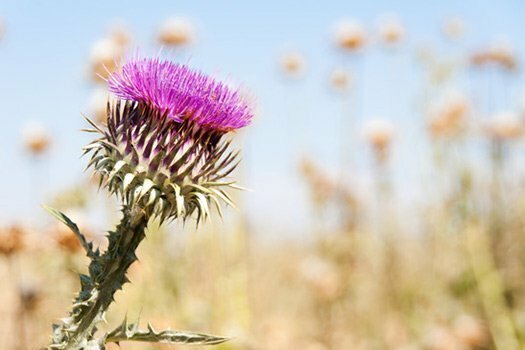 Milk thistle has been used for thousands of years in the Mediterranean area, and for hundreds of years all over the world. The Silymarin effect on the liver had shown regenerative effects, protection from free radicals, and a detoxifying effect. The Silymarin found in milk thistle seems to have similar effects on other organs of the body, making it a good supplement to add. Milk thistle is a tried and true method, and it looks like it’s here to stay as scientists continue to test and find extremely positive results not only in the liver and kidneys, but all organs.